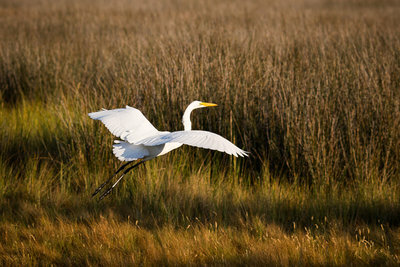 Take a trip through the famous Blackwater National Wildlife Drive while soaking in our gorgeous flat country. Stop by the newly renovated visitors center to learn more about our county. 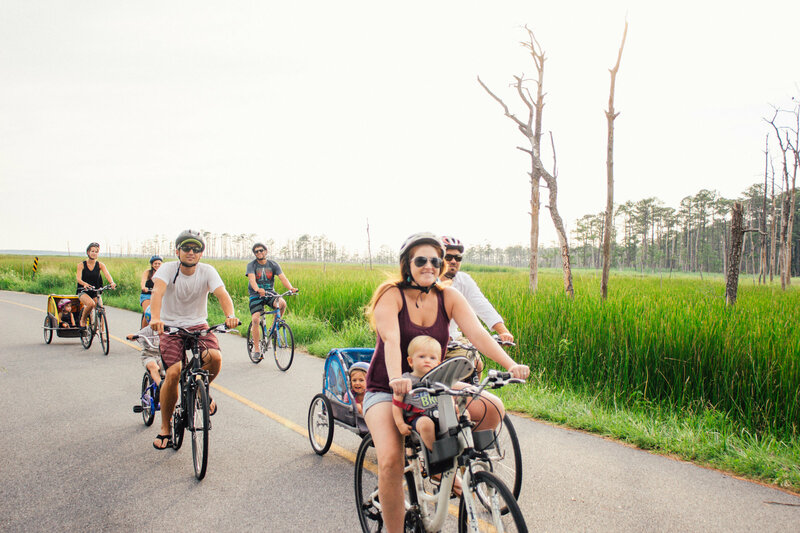 THESE TOURS WILL HIGHLIGHT THE LOCAL WILDLIFE, THE HISTORY OF THE AREA AND OUR CHESAPEAKE BAY WAY OF LIFE HERE IN DORCHESTER COUNTY. THEY EACH INCLUDE BIKES, HELMETS, BOTTLED WATER, AND GUIDES FOR TWO HOURS. CHILDREN UNDER 10 ARE HALF PRICED. TRANSPORTATION IS AVAILABLE FROM THE HYATT FOR $10 PER PERSON. THERE WILL BE AN ADDITIONAL CHARGE FOR GROUPS USING THEIR MASTER ACCOUNT THROUGH THE HYATT. Certified by the National Parks Services “Underground Railroad Network to Freedom”, our local tour guides will take you on a journey through time and share the history of local enslaved people and their stories of love, faith, and family while on the road to freedom. 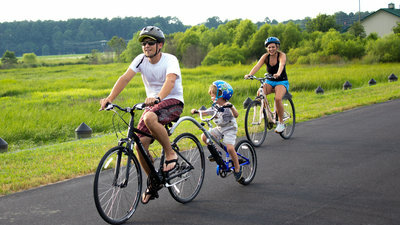 PEDALING ON THE FLAT LAND IN THE COUNTRY SIDE; SMELLING THE HONEYSUCKLE, THE FORREST AND THE FRESH PLOWED FIELDS IN SEASON! WE WILL LOOK FOR THE ENDANGERED DELMARVA FOX SQUIRREL, THE PLEATED WOODPECKER, TURTLES, AND EAGLES. TAKE A SHORT VISIT TO BLACKWATER NATIONAL WILDLIFE VISITORS CENTER. YOU WILL SEE EAGLE NESTS AND BEAUTIFUL SCENERY AS YOU COAST THROUGH THE BACK ROADS OF DORCHESTER COUNTY. ALL TOURS INCLUDE ALL NECESSARY EQUIPMENT, BOTTLED WATER, GUIDE (UNLESS OTHERWISE STATED) AND ENTRANCE FEES. TIMES ARE APPROXIMATE TIMES TO PEDAL EACH TRIP. ALL CHILDREN 10 AND UNDER ARE HALF PRICE. 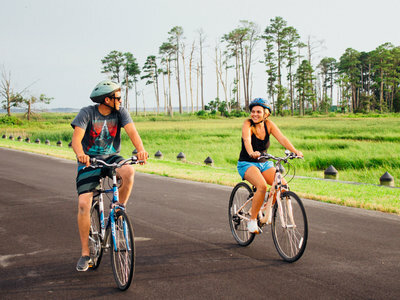 ALL BIKE TOURS BEGIN AT OUR BLACKWATER LOCATION. 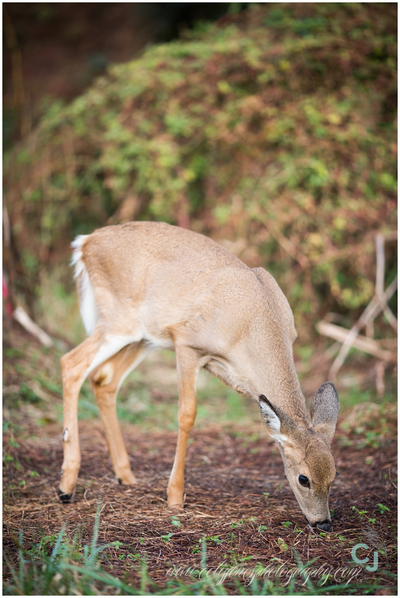 Take a 2 1/2 hour journey through the wildlife filled country side until you arrive at Layton’s Chance Winery! Here you will experience a tour of the facilities, taste their local wine and even receive a bottle of your own! (excluding all reserve wines). And you get to keep your wine glass! We have two buses for your group to utilize. Enjoy private tours, eat at one of our local restaurants, or for any outing of your choice. Our comfortable and clean 14 and 28 passenger buses have friendly drivers ready to serve you and your group! Our shuttles are perfect for weddings as well! The ideal service for ushering your guests to and from your venue safely! Contact us to customize your shuttle needs! 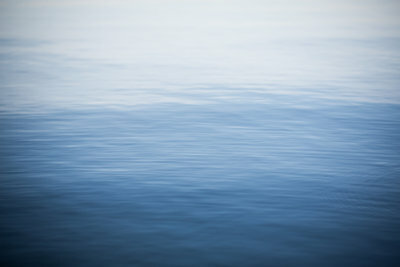 COME JOIN US ON OUR BEAUTIFUL,SERENE, BRACKISH WATERS TO SEARCH FOR THE BALD EAGLE, GOLDEN EAGLE, OSPREY, THE GREAT BLUE HERON AND MANY OTHER SPECIES OF WILDFOWL. DORCHESTER COUNTY HAS THE SECOND LARGEST CONCENTRATION OF BALD EAGLES IN THE CONTINENTAL U.S.! DON’T FORGET TO LOOK BELOW AS WE TRY TO SPOT FOR RIVER OTTERS, MUSKRAT, AND A VAST VARIETY OF TURTLES! 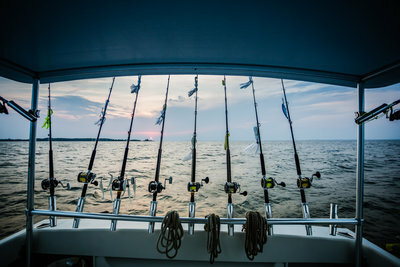 OUR TOURS WILL HIGHLIGHT THE LOCAL WILDLIFE, THE HISTORY OF THE AREA AND OUR CHESAPEAKE BAY WAY OF LIFE HERE IN DORCHESTER COUNTY. THEY EACH INCLUDE A KAYAK, LIFE JACKET, PADDLE, BOTTLED WATER, AND GUIDE FOR TWO HOURS. PRICES ARE PER PERSON. 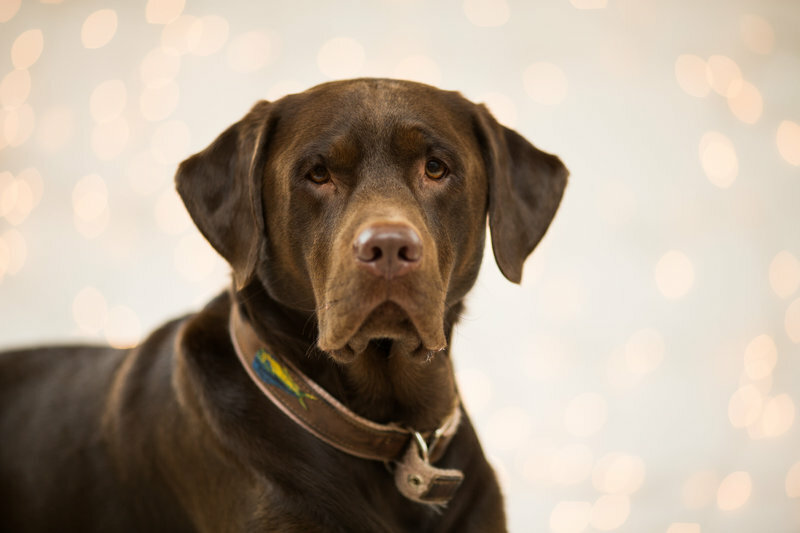 THERE WILL BE AN ADDITIONAL CHARGE FOR GROUPS USING THEIR MASTER ACCOUNT THROUGH THE HYATT. ALL TOURS INCLUDE ALL NECESSARY EQUIPMENT, BOTTLED WATER, GUIDE (UNLESS OTHERWISE STATED), AND ENTRANCE FEES. TIMES ARE APPROXIMATE TIMES TO PADDLE EACH RIVER. ALL CHILDREN 10 AND UNDER ARE HALF PRICE. PRICES ARE PER PERSON. A three hour trip down the Transquaking River. Requires transportation. Tour begins at the Winery at 10 am & 12 pm. 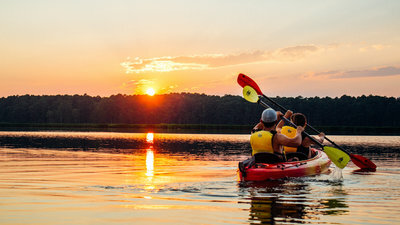 It is a two hour paddle down the Chicamacomico River and includes a tour of Layton’s Chance Winery, wine tasting, a bottle of wine (excluding all reserve wines), and a wine glass. Requires transportation. 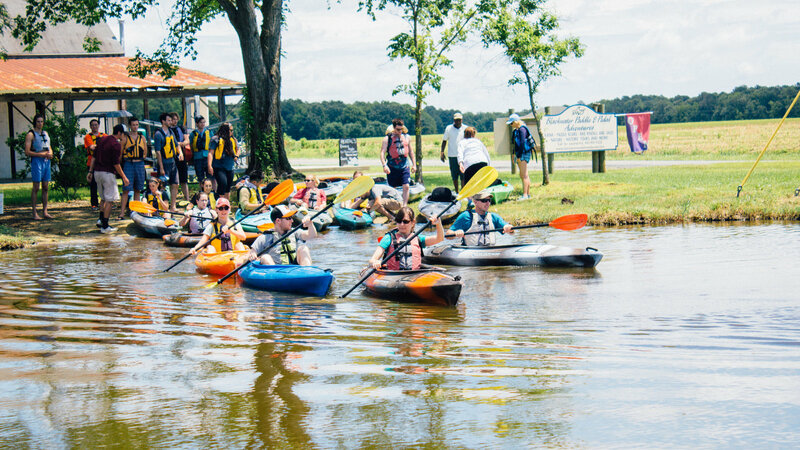 Blackwater Adventures is certified by the National Parks Service “Underground Railroad Network to Freedom” to enlighten guests on the journey of local enslaved people and their inspiring stories of love, faith, family, and their road to freedom. The tours are two hours long and can take place on multiple rivers. A two and a half hour paddle through Slaughter Creek to Taylor’s Island. Requires transportation. 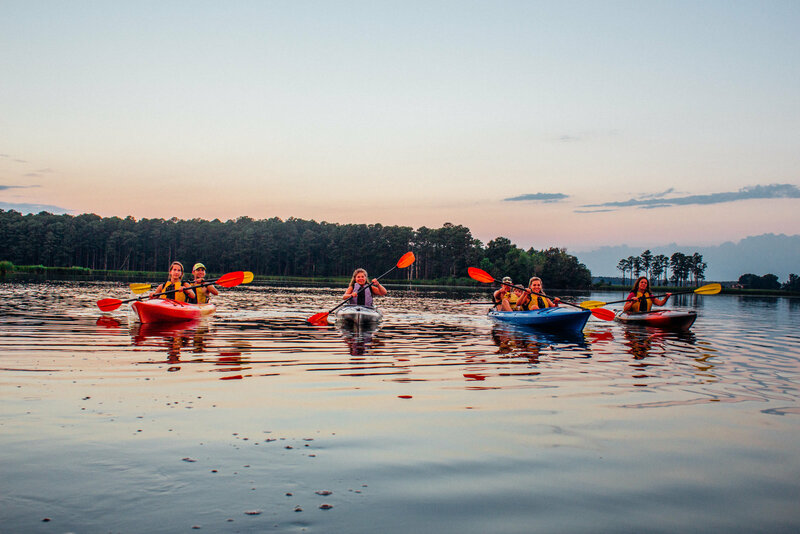 This two hour paddle adventure departs from the Blackwater Adventures Beach Hut on the beaches at the Hyatt Regency Chesapeake Bay. The time of departure will be determined when booking your reservation. This tour will also include a nighttime safety light. No discounts available due to the extra equipment and guides used. Groups over 12 people will have an extra fee due to transportation of more equipment. This is a one of a kind SUP experience! This paddle board yoga session combines relaxation with fitness to create a tranquil experience. During this time you will bind stretches and poses to challenge your inner self. 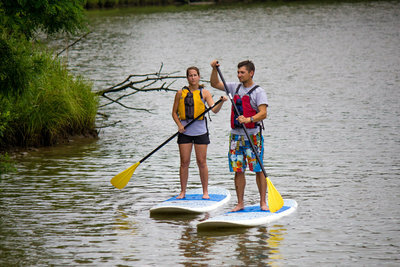 This paddle lesson will last about an hour and you will be coached every step of the way! Departing from the Hyatt Regatta Pavilion, this tour ventures into Historic Cambridge. You will get familiarized with places of interest that you may want to visit during your stay; such as historic spots, restaurants, parks, and events that may be happening during your stay! 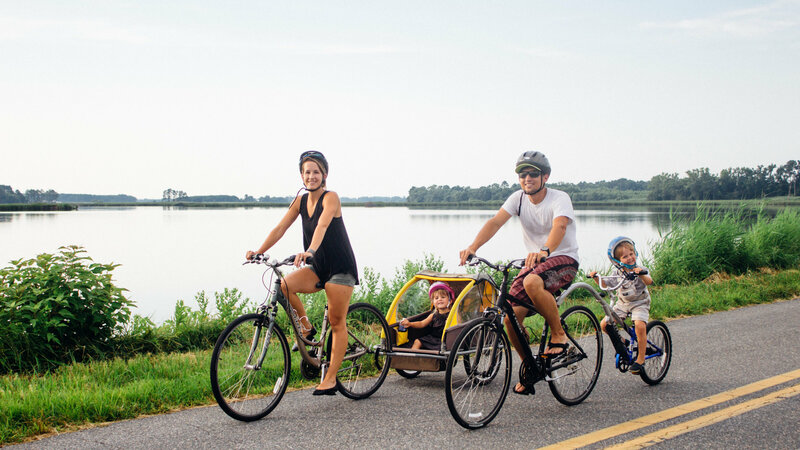 This tour does take place on roads that are traveled by cars and may not be appropriate for small children on their own bikes. All year the refuge is bursting with wildlife. On this hike we will search for Bald Eagles, the endangered Delmarva Fox Squirrel, muskrats and other native animals that make their home in the marsh! 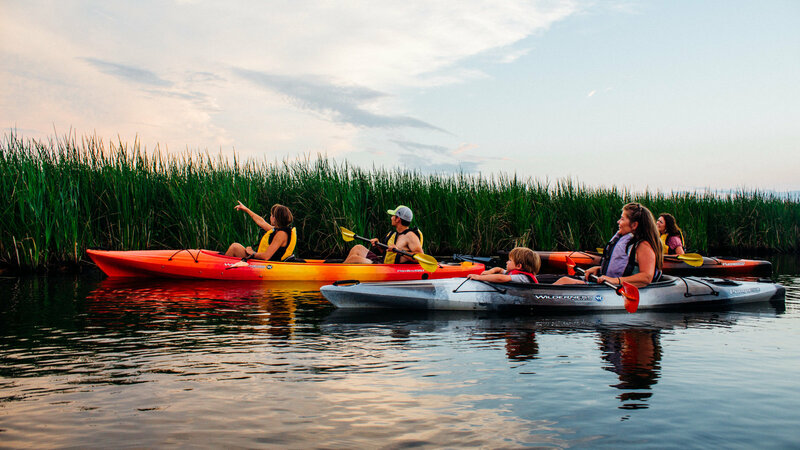 The marshes of Dorchester County have tons to offer our guests with the serene environment of our local landscape and hundreds of species of birds and plant life to explore! Then we will make a quick trip to the newly renovated visitors center at the refuge! Transportation is available from the Hyatt for $10 per person. Our day adventures include a guided tour with two hours of cycling and two hours of kayaking! The day is split by taking a break in the country to enjoy the included boxed lunch. Day adventures begin at 9:30 am and end around 3 pm. Your tour includes our guides, bottled water, boxed lunch and entrance fees. Children under 10 are half price. 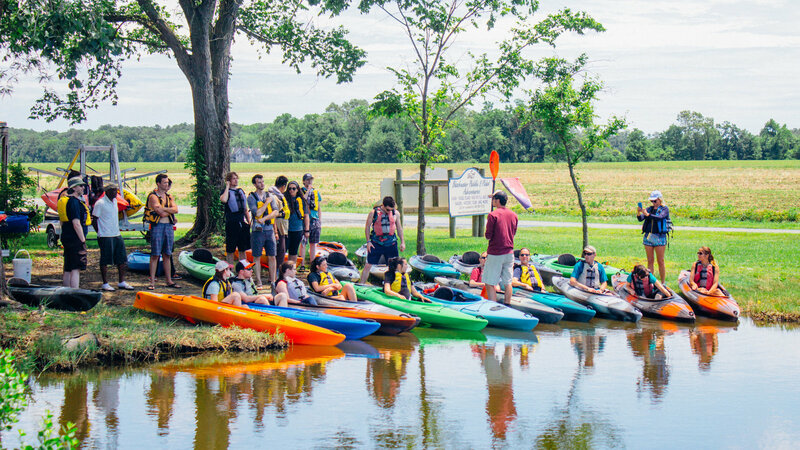 Check out the descriptions our guided bike and kayak tours to learn more about the great day that is ahead of you as you get to cycle and paddle with your local Chesapeake country guide!